The take of Bluefin in Mexico is the hot button issue in the Sportfishing community here in Southern California. While Mexico came out with a directive July 14th that prohibits the take of Bluefin in Mexican waters, there remains plenty of opportunity on our traditional grounds. We really need to look at what is currently taking place with regards to offshore water conditions, and then the big picture will become clear. We are at the beginning of what looks to be a full El Nino event. Higher than normal water temperature at more northern latitudes. Those who have been in the industry, or anglers who have been fishing offshore for a few years know that this type of event affords us opportunity we typically don’t have in our more temperate waters. The Bluefin we are currently catching will ultimately yield to warmer water species such as Yellowfin, Dorado, yellowtail and big eye. 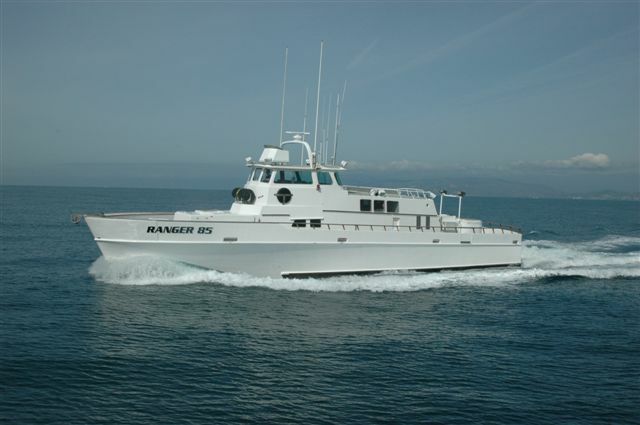 There will be random catches of wahoo and increased numbers of billfish such as Striped Marlin. All of this in short range of San Diego. Species that typically anglers would only see on longer trips, will now be in striking distance for the local and mid-range trips. I look back on warm water events in the past, 80’s, 90’s and even recently. These events spell opportunity for our anglers. We have had so many calls and inquiries these past few days regarding Mexico and Bluefin. Let’s get our facts straight with regards to where we are today. Fact: The U.S. / Mexico border is open, and our fleet has access to the waters we traditionally fish this time of year. Fact: We are fishing daily in Mexico and CATCHING FISH. Fact: We are catching and retaining gamefish species in Mexico daily such as Yellowfin Tuna, Yellowtail and Dorado. Fact: Mexico has asked for zero retention of Bluefin for the time being, this may change, but for now, retention or take is prohibited in Mexican waters. Fact: Bluefin are a highly migratory species and are on constantly on the move. There are many areas targeted by our fleet this time of year offshore that lie beyond the border of Mexico in U.S. waters. There will be effort towards those areas should they prove productive. Fact: As the summer progresses, water temperatures will likely elevate, providing additional opportunities for anglers not typically encountered within 1-2 day range of San Diego. Let’s not get caught up in this recent management measure, and remain focused on the opportunity we have before us now, and that which has yet to come. 2014 has by all accounts been an incredible year. The San Diego fleet started with a great showing of Yellows at the Coronado’s and along the Baja Coast and fishing for Yellows and Yellowfin Tuna has only gotten better has summer has come on. In fact offshore fishing right now is some the best, the likes of which has not been seen in decades. Let’s keep our eye on the ball and our bows pointed offshore. 2014 is just getting started. San Diego Open Bay Bass Tournament…Results Posted!